In this week’s episode of The Whole Circle Podcast we talk to the lovely Nicole Bathurst from Naturally Nic. Nicole Bathurst is a Dietician who was diagnosed with breast cancer 5 years ago. This came as a complete shock given she had lived a healthy lifestyle. Thankfully through a regiment of treatment, she was given the all-clear. At this point, she drew on all her years of experience as a Dietician to help repair and rebuild her body. 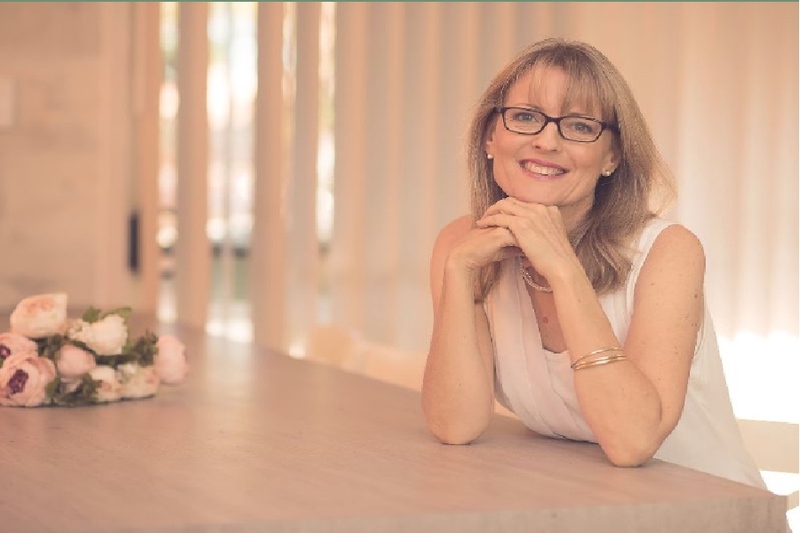 Fast forward to now and she specialises in working with women who have finished their breast cancer treatment and want to find the most supportive lifestyle habits to reduce their risk of getting cancer again. Becoming a Dietician was something that Nic was passionate about. She grew up with a mum who struggled with her weight and emotional eating. Nic then struggled with bulimia in her late teens to early twenties. She recalls buying a book called ‘Raw Energy’ by Leslie Kenton which was like a light bulb moment for her as she realised that what we eat affects everything! This then started the journey for her becoming a Dietitian. After her studies, she met her former husband and got married. They had four kids in five years (wow!) all of whom she homeschooled. Through all this, she never stopped reading about health and nutrition. She recalls reading this book called ‘Not On the Label: What Really Goes into the Food on Your Plate’. It opened her eyes up to all the extra things that are in our food that we have no idea about and how they affect our bodies. When she was 40, she had a friend who died of breast cancer and it was like all her research started to be directed towards cancer and how to prevent cancer. That’s when she started becoming interested in alternative cleaning products, beauty products and food. When she turned 48 and got breast cancer herself. She really did not think she would get cancer with all of the health changes that she had made. However, in hindsight, she can see how she got it as she was under a lot of stress that she was not aware of. She was drinking alcohol at the time and so when she got breast cancer she decided once and for all to put her glass down permanently. This was completely hard for her, especially given the way Australian culture encourages and accepts drinking as the norm. She knew about the association between breast cancer and alcohol and women’s cancer and alcohol. It is as strong as the association between smoking and lung cancer. A little fact that is not commonly known. This is why she is so passionate about febfast because she had done many febfast’s before this, so she knew she could do it and be alcohol free. How does drinking alcohol impact women’s bodies? When women drink alcohol, our bodies have to process that alcohol. Your body knows that if you drink too much alcohol, you will die. Yep, we get that it sounds a bit dramatic, but your body is all about survival. So, then your oestrogen gets broken down in the liver. When you drink alcohol, your liver dumps that oestrogen back into the bloodstream to be dealt with later, whilst it deals with the alcohol. It’s that half processed oestrogen that is related to female cancers such as breast, ovarian, uterine etc. The other thing Nic is so passionate about is that if you are trying to avoid breast cancer or you’ve had breast cancer, you need to get on top of your weight. It doesn’t matter what chronic disease we are looking at; excess weight holds you back from achieving any health goal and it’s the biggest contributor of any of our health diseases. It really is important to address that. We understand weight is a touchy subject and it’s not discussed to make you feel judged, but at the end of the day, the facts are there. We get that there is a distinction between excess weight and people who are larger in size, but healthy. The reality is, you know yourself when you are carrying excess weight and how that makes you feel. This is especially important if you have had breast cancer. The excess weight that we carry doesn’t just sit there dormant. It releases hormones, one of them being oestrogen which means it is working against you. Jo and Tracey’s mum is battling cancer at the moment and they have all wondered, including their mum, whether she could have done things differently to avoid cancer. Your risk of cancer all comes back to diet and lifestyle. We used to think that your genes were responsible for all manner of health conditions such as diabetes. But in actual fact diabetes is a preventable disease as is cardiovascular disease and many of our cancers. It is only around 5% to 10% of cancers that are genetically related. Even then, it’s like our genes load the gun but it’s your diet and lifestyle that pull the trigger. We have so much more control over our health than we have been led to believe. A perfect example is Jo’s story with her daughter Eva and the horrendous contributing factor additives and preservatives had on her whole body. You can easily change your diet and lifestyle. Why not give up alcohol or additives and preservatives for a month and see how you feel. That will be a good indicator as well as a motivator to keep going. If you fall off the wagon, then you can simply jump back on again. Febfast is giving up alcohol or sugar for 28 days to raise money to transform the lives of young people experiencing serious disadvantage. They originally chose February because it is the shortest month. However, it has expanded to Dry July and Ocsober as well which are all raising money for worthy and differing causes. It was pretty devastating when Nic stopped drinking because three months later she actually woke up to what was going on in her marriage. Alcohol had really kept her anaesthetised to what was going on. When she looks back as to why she probably got cancer, yes, the alcohol didn’t help, but she was also under a lot of stress. She sadly had to leave her marriage which she doesn’t regret, nor does she regret the journey that she has been on since. What do you learn at Uni to become a Dietician? Our perception is that Dietician’s know a lot about food, but do they learn about ingredients and how things are made and what goes into packaged food? Whilst Nic studied over 20 years ago now, she recalls they learnt a little bit about allergies, foods and colours but not as in-depth as what Jo and Tracey’s course, Additive-Free Made Easy, does. To put it delicately, what is promoted is driven by industry. Even Universities are funded by the Meat and Livestock Corporation and that’s why Nic doesn’t work in an institution. She has a different message to share. When people hear that she is a Dietician, they do have a preconceived idea that she will follow the food pyramid, but she doesn’t and in fact, from all the research that she has been doing currently, she is encouraging people to move away from consuming animal products. There are so many things in dairy that not only cause allergies but from a female perspective, dairy is a hormonal product. Cows are full of hormones as is the milk which is just the tip of the iceberg. You then have all the protein and casein in milk which is not doing us any favours either. Her message is, if you have had breast cancer, it would be worth thinking about giving up dairy products and minimising, if not removing, all animal products from your diet. The paleo movement has made us think about what we eat and what animals eat that you are in turn eating as well. It has given us a greater awareness as well as a greater conscience to treat animals better. Because we are mass producing all our animals, they are full of antibiotics. As a nation, we are importing over 700 tonnes of antibiotics a year and 550 tonnes of that goes to animals. Some are used by vets, but most of it used by our mass-produced livestock! Is eating a fully organic diet a better option? Yes, it is, and whilst it is beneficial, Nic would still ask you what meat you are eating because even protein in meat is associated with cancer. A few years ago, the World Health Organisation classified processed meats as a group 1 carcinogen which is on the same level as smoking and asbestos. So even if it is organic and grass fed, there are still associations to cancer. Nic would suggest limiting animal protein to once a day and start increasing your consumption of plant-based protein such as what you get from beans and legumes. Our bodies don’t need to eat animals to get protein. Protein is actually produced by plants. It’s the plants that get the nitrogen from the air and the soil and add it to the amino acids and make proteins which then the animals eat and we then eat. In actual fact, we eat too much protein and not enough fibre. Fibre is vital to get everything moving in our bodies and not just to be regular. But it is the fibre that is feeding our good gut bacteria. It always comes back to the health of our gut! The health of our gut is dependent on what you feed it. Animal protein is not feeding it, it’s actually damaging it. All of the plant proteins you get from fruit, vegetables, wholegrains, beans and legumes are giving you fibre as well. To give us a comparison, Nic did some research and found that if you wanted to replace 1 tablespoon of olive oil, you could eat half a cup of oats, brown rice or beans and all of them, especially the beans, are going to give you a massive amount of fibre. Soy is one of our biggest genetically modified products, and there has been a lot about soy lately. Soy is a phytoestrogen which prevents our bodies from the harmful oestrogens. As long as soy isn’t genetically modified and is organic, it is okay for us to consume. It’s still a good idea to limit the amount of it you eat to only a couple of times a week and a portion size of ¼ cup only. This is so important. To keep weight under control, you need to be very mindful of your portion sizes. If you are going to eat meat, then limit that portion to the size of a deck of cards. It’s really difficult for those trying to live a healthier lifestyle to go to the supermarket and find the best organic plant-based foods possible. Nic doesn’t like the word vegan because you can get vegan Tim Tams for goodness sake, and we all know they’re not good for us. Plant-based wholefoods are what we need to come back to and not eat fake foods. If you want some dairy-free cheese then use nutritional yeast flakes (which you can get here) as they provide you with that cheesy flavour but with none of the nasties. Even gluten-free bread is incredibly hard to source with clean ingredients. If you need to eat gluten-free then the best way to do it is to remove gluten altogether and not try and find a substitute for it such as gluten-free bread, because it’s not going to serve your health very well. It’s also important to note that living a vegetarian lifestyle can be just as unhealthy as living a meat-eating lifestyle. It all comes back to the foods you are putting in your mouth and are they as wholefood and plant-based as you can possibly get. It’s best to stop trying to mimic the foods you used to eat and just start living a new way of life. We completely get that changing your whole lifestyle around food is hard, especially when you may have grown up with the typical diet of toast for breakfast, sandwich for lunch and maybe even a dinner roll with your tea, but it is possible with knowledge and preparation to turn that lifestyle around to one that nourishes your gut. Falling off the wagon is ok, we can all go through that. Even if you are living an Additive-Free Lifestyle and you fall off the wagon, we understand because it can be so much easier to just go to the supermarket and grab whatever off the shelves. This is why we have some students who do our Additive-Free Made Easy course multiple times because they may have fallen off the wagon and need that inspiration the course provides to get back into it again. Meal preparation is key to maintain this lifestyle. Making decision all the time on a daily basis is fatiguing especially if you have to decide what to cook each day. If you have your menu set and prepped in advance, then you are less likely to grab ‘convenience’ food from the supermarket or take-away that is not convenient to our health. This is why Nic loves our Meals Made Easy menu planning programme because all the work is done for you. Where can you find Nic? If you find yourself in this situation and could use Nic’s services, then head on over to Naturally Nic to check it all out and get in touch with her. She even does consultations over Skype and Zoom which means she can be accessed by anyone, anywhere. How do you learn more about additives and preservatives? You can learn all about additives and preservatives and what you need to avoid via our Additive-Free Made Easy programme. You can register here for our next round which is coming up soon! How can I meal plan and get organised? We have totally got you covered with our Meals Made Easy menu planning programme. You’ll get 8 weeks’ worth of recipes, shopping lists, preparation guides and e-books to take the stress out of mealtime.